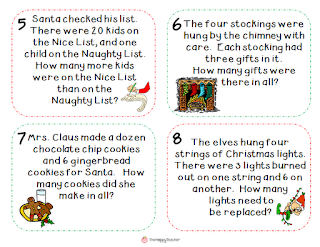 Calling all K-2 Math Teachers...You will LOVE my latest FREEBIE! 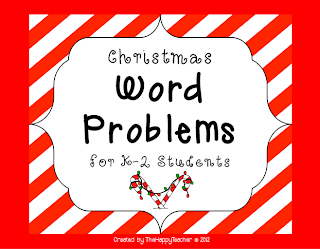 These Christmas inspired story problems are sure to keep students engaged before the holidays! 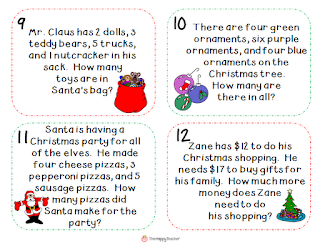 Use these task cards in whole group, small group, at a math center, or as a class scavenger hunt! This freebie includes 16 task cards, an answer key, and a student recording sheet. You can download this freebie by clicking any of the images above. Enjoy! These freebies are great! Thanks!